29/08/15. Shaqlawa, Iraq. -- Omar, 35 y.o. from Falluja. 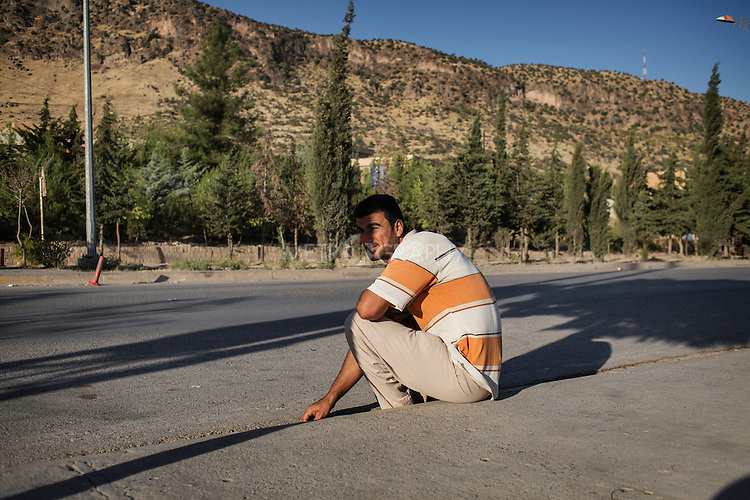 Every morning Omar sits on the side of the main street in Seirmaidan where Kurdish building companies collect workers when needed for the day. He will stay there from 6 in the morning until 11. When he works he usually makes 25-30.000 IQD.